Jiutian Cave is named for its nine skylights, which are interlinked with ground. It is located in Sangzhi County(Zhangjiajie,Hunan province), 62 kilometers away from Wulingyuan, 70 kilometers away from the city enter of Zhangjiajie. 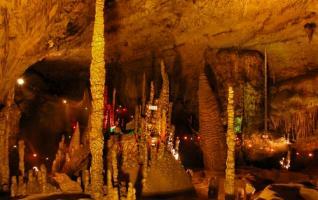 There are three layers within the cave, covering 2.5 million square meters in total. 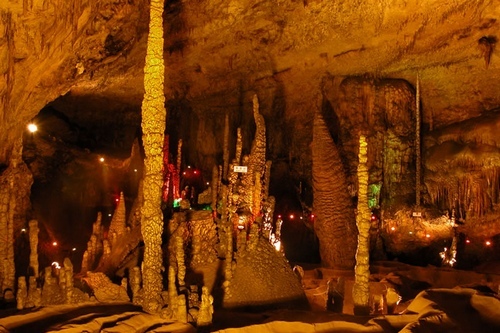 Entering into Jiutian Cave, you may be surprised by all kinds of treasures it owns, its countless postures as well as the unique stalagmites, curtains, stalactites. 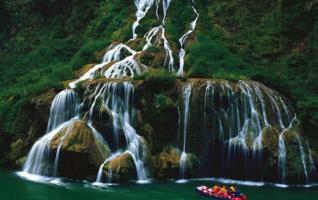 In a word,Jiutian Cave is generally seen as an unusual rarity which can be seldom seen elsewhere around the world. 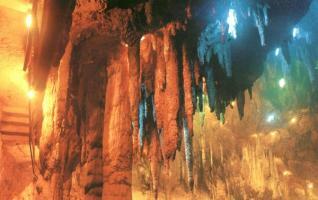 Jiutian Cave was found in 1987 by a man named Wang Hairan who was fond of adventure. 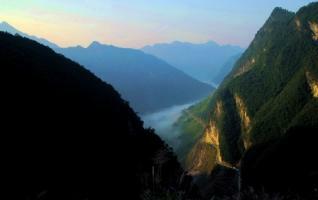 In 1988, officially,Jiutian Cave was opened to visitors as a provincial scenic spot. In 1987, more than 20 experts coming from 17 countries had an on-the-spot investigation in Jiutian Cave, and then successfully confirmed the status of Jiutian Cave-the largest cave in Asia. 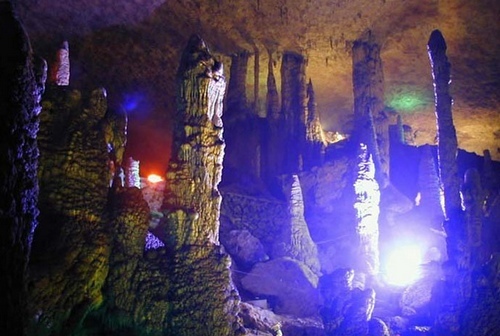 In 1995, Jiutian cave was identified as the exploration base of International Karst Cave Association (only2 inChina) and also ranked among International Karst Cave Association (only 3 nationwide). 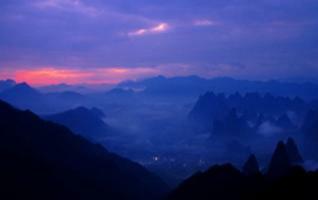 Since then,Jiutian Cave got to be known by the whole world gradually. Accordingly, its various values multiplied rapidly.